"This is going to transform natural hazards reconnaissance research by making a collection of state-of-the-art equipment available to a wide community of researchers from across the country." 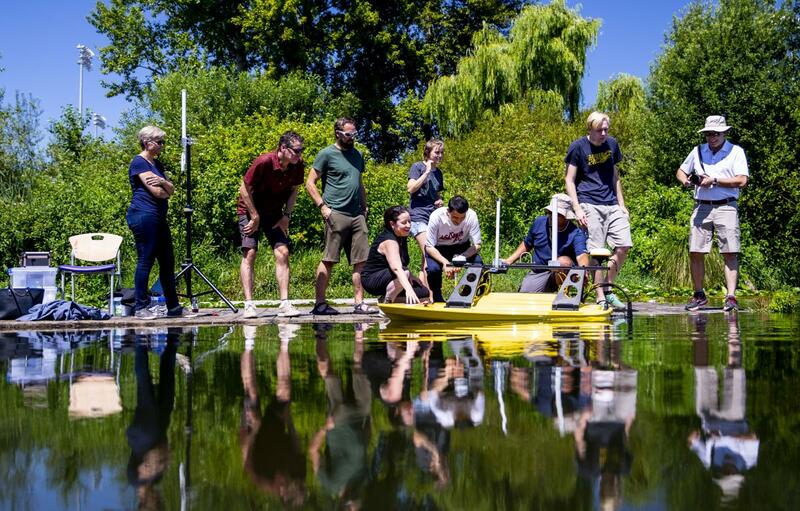 During a four-day intensive training at UW in July, researchers from across the country learn how to operate the Z-Boat 1800. The new center launches during a time when natural disaster related losses continue to escalate. In the past 30 years, more than 2.5 million people and $4 trillion has been lost in natural disasters, according to the World Bank. In 2017, natural hazards resulted in $330 billion in global losses, a jump from $200 billion in 2014. Working with existing organizations, including NSF-funded Geotechnical Extreme Events Reconnaissance Association, center staff equip researchers with tools and equipment for gathering data. Reconnaissance teams typically arrive on site within 1-2 weeks, to avoid interfering with immediate rescue response. 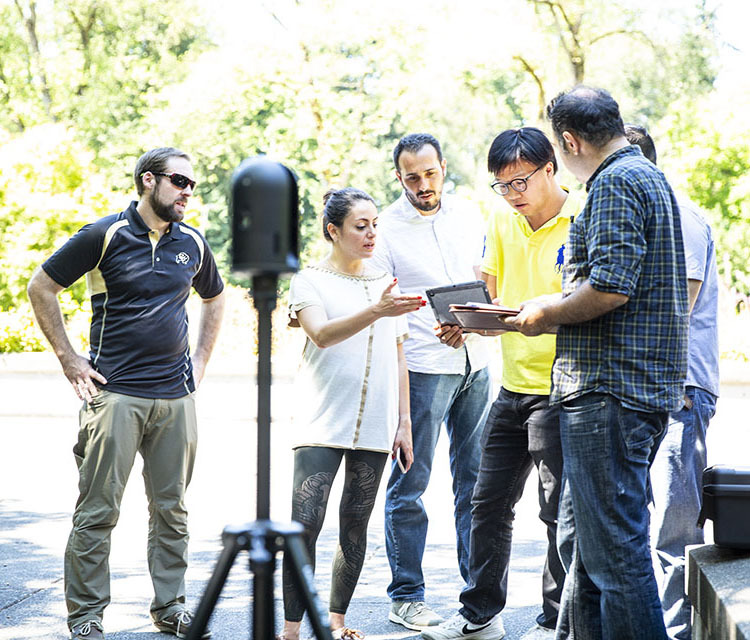 Visiting researchers learn how to operate the BLK360, a lightweight, highly accurate close range laser scanner used to capture 3D point cloud and imagery data. Collecting high quality data about damage and other impacts caused by natural hazards allows researchers to gain insight that helps inform the development of more resilient communities. From updated building codes to informing coastal development planning, the data is used by researchers to reduce impacts from natural hazards. 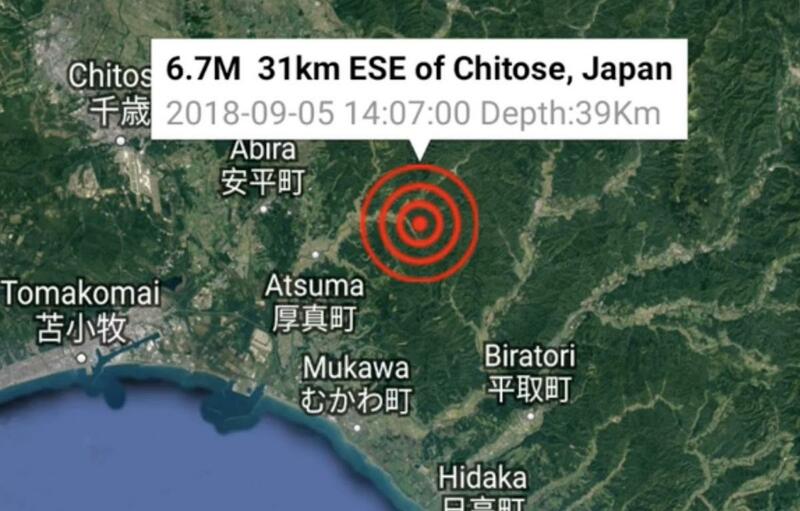 However, current post-disaster data gathering procedures suffer from a lack of state-of-the-art equipment and uniformity in collection means and methods, which can affect the quality of the data gathered. Without standardized procedures for sharing results, information is often tucked into drawers or saved on researchers’ hard drives. To enable systematic data collection, a custom mobile application is under development, called the “RApp,” to guide researchers through standardized data collection methods. The app will also manage various types of data gathered, from handwritten notes to photographs to 3D point clouds, automatically uploading everything to a data repository called Design-Safe, which is accessible to the larger research community. The center also offers data visualization and assessment by allowing researchers to “see” the disaster scene in three dimensions, so they can continue their investigation of the damaged infrastructure well after cleanup has occurred. The data visualization “CAVE” utilizes technology pioneered by partner Oregon State University. A researcher learns to set up a seismometer to measure ground motion. 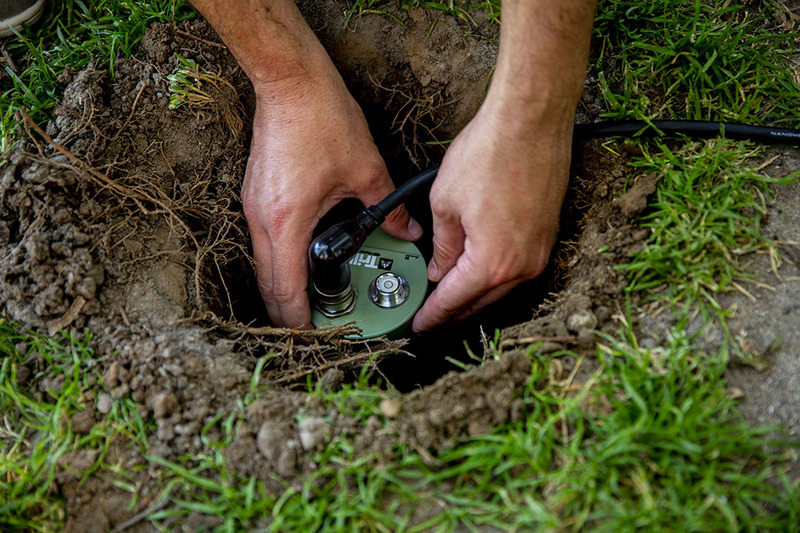 Burying a seismometer reduces signal noise and improves the accuracy of ground motion measurements. Learning how to use Emotiv EEG headsets to measure brainwave activity and sense various emotions such as stress. 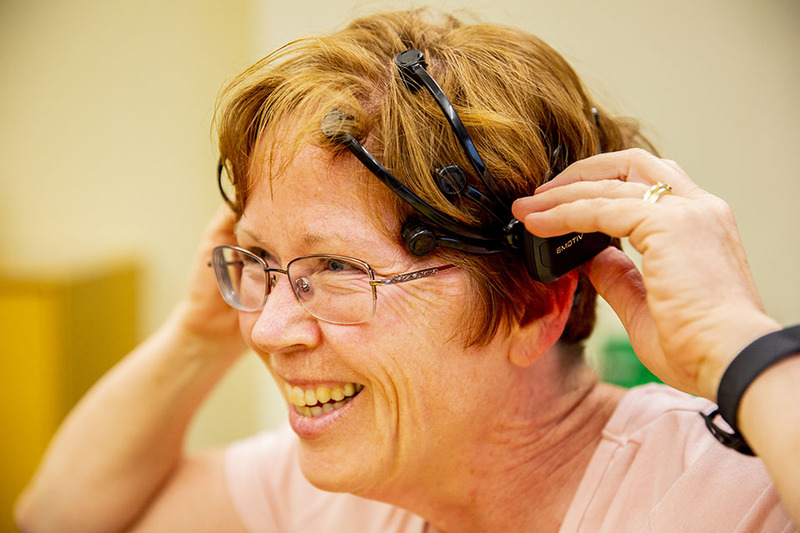 With a smile, a researcher dons a 14-channel Emotiv EEG headset. During the past two years, the center has procured more than 300 pieces of equipment worth an estimated $1.2 million. In addition to surveying tools and seismic instruments for monitoring aftershocks, the equipment portfolio includes a suite of equipment to collect high-resolution 3D information on the state of structures, slopes and coastlines. The equipment includes laser scanners (lidar) and a fleet of drones outfitted with ultra-high resolution cameras— one of which is even equipped with lidar. More specialized and experimental equipment includes the Z-Boat 1800, which uses sound waves to capture underwater topography information about the depth of lake or ocean floors for damage assessment; social science equipment such as EEG headsets to measure electrical brainwave activity and assess stress levels related to disasters; and an Applied StreetView camera to capture 360 degree imagery from a moving vehicle, enabling large-scale damage surveys. 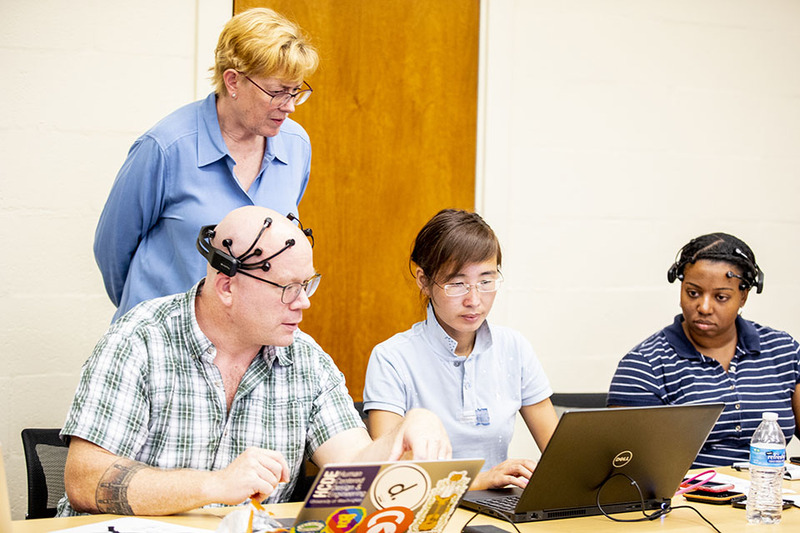 To begin building a base of researchers familiar with operating the equipment, a four-day intensive training was held at UW in July. While training is not mandatory for users, they are welcome to visit the center for a refresher or quick training session prior to reconnaissance deployment. Getting the equipment in the hands of researchers across the country has proven to be the biggest logistical hurdle. In addition to deployment destinations throughout the world, the equipment comes in various shapes and sizes. The small boat, for example, must currently be shipped in a crate. Using equipment from the new center, researchers obtained video of a dam washout. Hurricane Florence in North Carolina, U.S. Following catastrophic damage from freshwater flooding in September 2018, two reconnaissance teams were deployed to North Carolina to assess damage from the hurricane using the Applied StreetView camera to capture continuous 360 degree imagery, close range laser scanners, drones and GPS units to build 3D models, and a thermal camera to assess water damage. 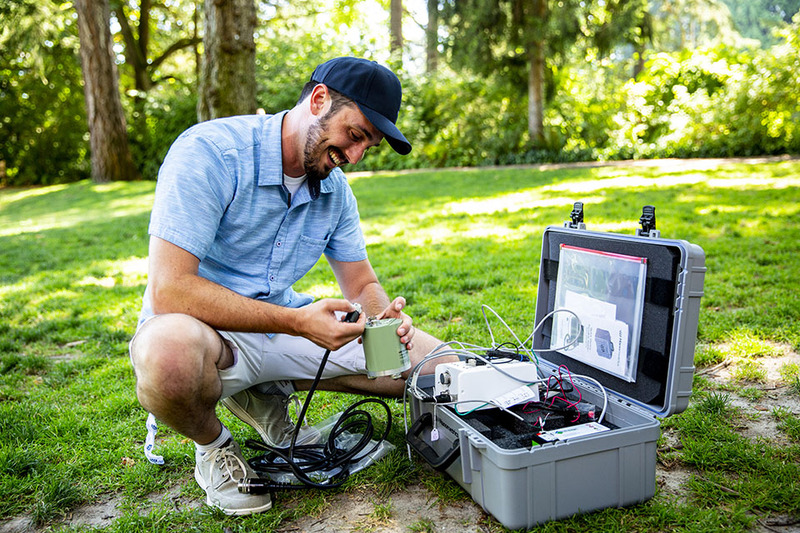 Following a magnitude 6.6 earthquake, alumnus Alex Grant (Ph.D. ‘17), who works for the United States Geological Survey, was part of a two-person reconnaissance team that used close and long range laser scanners to gather data about landslides and liquefaction features. 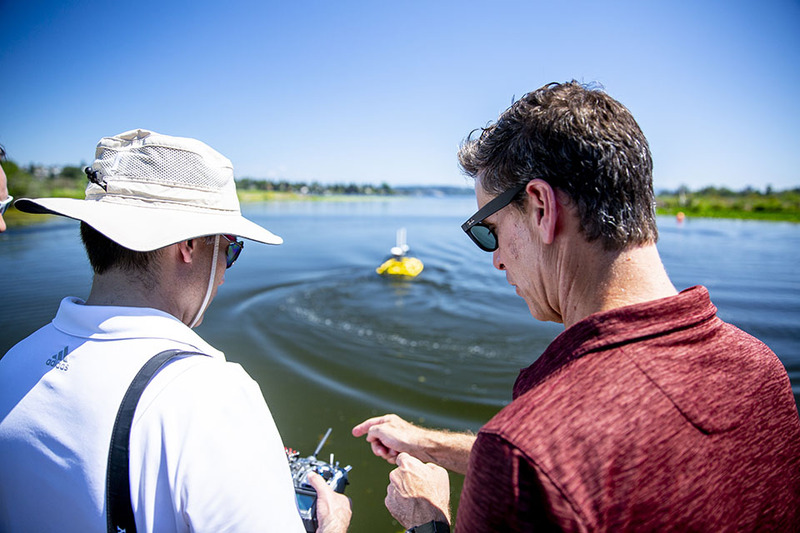 Principal investigator Joe Wartman (right) interacts with a visiting researcher who is operating the Z-Boat 1800 as part of a user training at UW in July 2018. For updates on where equipment is being deployed, visit the center’s website.